Polam School is a small independent preparatory school located on a quiet Victorian avenue in the heart of the established market town of Bedford. Founded in 1923, the school remained a family concern until it was bought by Cognita and merged with a similar sized pre-preparatory school in 2008. The school now occupies two large Victorian houses, which have been significantly extended to provide some impressive facilities for a school of its size, including a large gymnasium and indoor swimming pool. The setting receives early years funding. The school provides education and care for children aged from twelve months to nine years, having recently reintroduced Years 3 and 4. This extension to the age range enables those children not quite ready to move on to the local preparatory schools at the age of seven to continue in a small, nurturing environment. It also enables the school to offer parents the choice and benefits of a small setting as a start for the education of those children who may enter one of the local maintained middle schools in Year 5. The school believes that the opportunities offered to children during their formative years are critical for the future development of the child. It provides a safe, nurturing, home from home learning environment in a small setting. Class sizes are particularly small and adult to child ratios are high. The school provides wrap-around care for children from 7.30 am to 6.00 pm in term time through its breakfast clubs and after-school clubs. It also offers holiday clubs for all children in the school and the Nursery between 8.00 am and 6.00 pm for approximately fourteen weeks a year. The holiday club is also a popular choice for parents whose children do not attend the school. The school has a Christian ethos. There is a diverse mix of ethnicity within the school. The school aims to teach children within a culture of high expectation and challenge, enabling them to achieve their best, and help them to be good choosers, skilful problem solvers and powerful learners. It aims to give them the confidence to question and to search for answers, to understand that without mistakes they do not learn and so encourage them to take risks. It aims to build the skills, knowledge and understanding required for making sense of the world around them, to learn to work collaboratively as well as independently, and to be caring and respectful of those around them. It aims to help them to recognise that learning is lifelong, but most importantly to enjoy learning. My daughter loves going to school and we feel part of the school family. Polam is a small school where we all know each other, even other classes teachers. We would like to thank you as a team, for all the work you have put into helping us raise such amazing young men. Polam will forever be on our hearts. Polam is a wonderful little school and even though my daughter was only there for a year we are thrilled not only with how much she has come on academically but also in terms of her confidence levels. I will definitely recommend the school to others. Our son loved his time at Polam School, and was sad when he had to move on. It is such a wonderful school, with a friendly atmosphere. He loved going to school, unlike his previous school where he was bored, as he was not being challenged enough. Polam's wonderful teaching staff helped our son greatly and prepared him for the entrance exams for the local Harpur Trust schools, where he passed both. Sending him to Polam was the best decision we could have made. 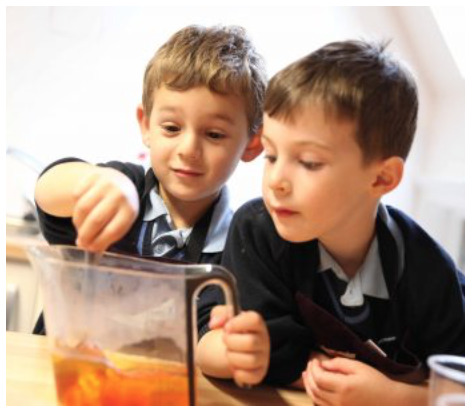 Our son has learnt ‘the magic of education’ through the school’s engaging ways to learn and the staff’s enthusiasm….You took a child who was disillusioned and uninterested in learning and in one term made him hungry to learn and happy to do homework – an exceptional skill! 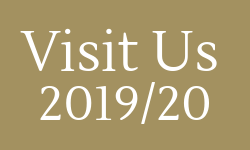 We warmly welcome prospective parents to come along to our termly Open Mornings to see for yourself what a special little school Polam is during a normal school day. No gimmicks or special events laid on – just excellent teaching, happy, engaged children and parents who are happy to chat about their child’s experience of Polam. Arrange to visit Polam for a personal tour, at a time that suits you, to meet the Headteacher, discuss your requirements and experience the atmosphere of a typical working day. WHAT MAKES POLAM SCHOOL SPECIAL? "Every day is filled with learning adventures"
With music, languages, drama, swimming and sport all introduced in small groups from an early age, our curriculum goes way beyond national expectations. The majority of our children progress to the local Harpur Trust schools, but destination schools also include other Cognita Schools as well as a number of State Middle Schools in Bedfordshire. Children may join our Nursery from the age of 12 months until 4 years. The baby and toddler rooms, Acorns & Catkins (12 months to 2 years) and Saplings (2 to 3 years), provide the perfect environment in which to gently prepare your child for life in the School and our small classes ensure that he or she receives personal attention at all times. Our well-equipped and comfortable Nursery is a fully integrated part of the School, giving your child the opportunity to benefit from the extensive range of facilities and specialist teaching which includes modern languages, music, PE and swimming (from 3 years). We also have visiting teachers join us weekly to teach Creative Dance and Yoga. Looking for a tutor near Polam School?